Meteorological Resources: Data from the National Weather Service and Texas Natural Resources Information System (TNRIS) are available, including information on precipitation, evaporation, humidity, solar radiation, wind speed and direction. Biological Resources: Information about species composition, distribution and dynamics. Water Resources: The Texas Water Oriented Data Bank in Austin, accessed via our computer, provides available surface and groundwater data. Much of the data in the local area are available in our own files. Geologic and Land Resources: Data obtained from the Bureau of Economic Geology, U. S. Soil Conservation Service, and U. S. Geological Survey include geologic and soil data. Socio-economic Resources: Census data organized by the standard metropolitan statistical area (SMSA) are available. Offers a variety of technical services to the public and various government offices. Most prominent is the Laboratory Services for water analyses. The laboratory has NELAP accredation for certain analysis. In addition, the laboratory is accredited to perform bacteriological testing of water. The specialized water analyses available include standard chemical analyses for anions, cations, and metals; pesticides and other organic carbons and bacteriological analyses. Seminars and workshops for educational groups and local units of government: On-site presentations are conducted for teachers, administrators, students and personnel from cities, counties and water supply districts in the aquifer region. Talks: Scheduled talks ranging from proper lawn irrigation to the unique fauna of the aquifer are given to organized groups in the area. Educational materials: Slide-tape presentations and booklets on water conservation have been produced for all grade levels. Materials on geography, hydrogeology and biology of the Edwards Aquifer are also available. Aquatic studies field days for educational groups: Activities include a discussion and viewing of films on groundwater, the Edwards Aquifer and the San Marcos River; a discussion and hands-on experience of water sampling, sampling for plant and animal specimens in the San Marcos River, and microscopic identification of invertebrate specimens. 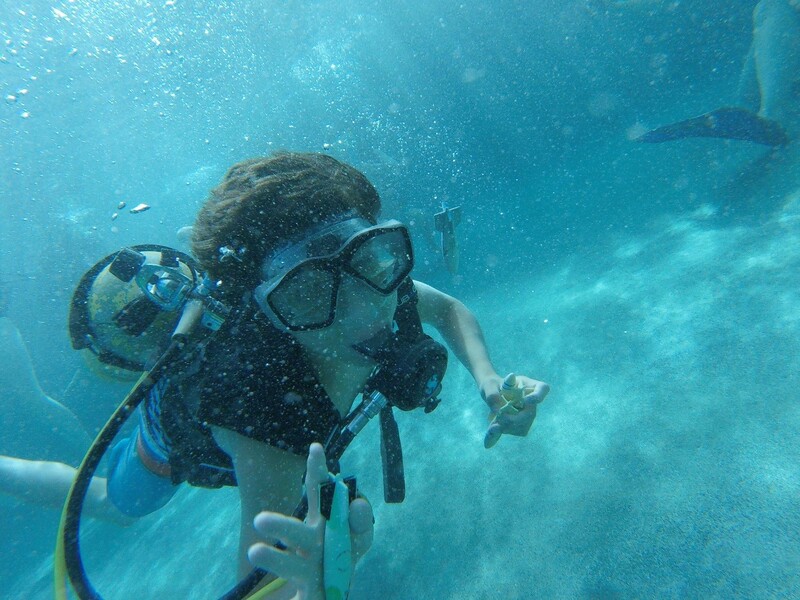 Aquatic Adventure Camp: This summer camp is offered every year in 6-day sessions for children ages 9 to 15. Also available are 2-day mini adventure camps. Activities include aquatic studies each morning; scuba diving and swimming in the San Marcos River; tubing on the San Marcos River; raft trip on the Guadalupe River; visiting Natural Bridge Caverns,the Comal Springs and cave exploration. The Edwards Aquifer Research and Data Center (EARDC) has been providing water analysis services since 1979. Samples are analyzed from wells, springs, rivers, municipalities, and wastewater treatment facilities for a variety of chemical and biological constituents. The EARDC laboratory is accredited through National Environmental Laboratory Accreditation Conference (NELAC) by the Texas Commission on Environmental Quality (TCEQ). EARDC has provided a wide range of services for private citizens and numerous organizations including the Edwards Underground Water District, Environmental Protection Agency (EPA), Barton Springs Conservation District, Texas Parks and Wildlife Department (TP&W), Texas Water Development Board (TWDB), and Texas Commission on Environmental Quality (TCEQ). EARDCs commitment is to meet our client’s requirements by providing a high caliber of environmental and laboratory services. The goal of the EARDC laboratory is to generate an error-free environment. The quality assurance and management system at EARDC stresses training and planning which yields increased personal performance, improved laboratory management and the prevention of errors. Our program relies on clearly defined objectives, well documented procedures, a comprehensive audit system and assistance of the EARDC management for its effectiveness. The EARDC Quality Assurance program ensures that data produced is scientifically sound, legally defensible, and of known documentable and verifiable quality.